Built in 1921, Pool No. 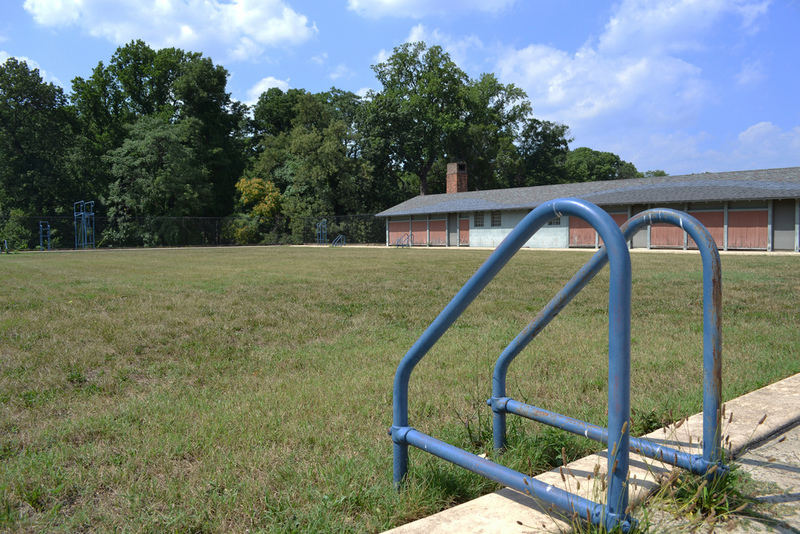 2 in Druid Hill Park served the recreational and competitive swimming needs of over 100,000 African Americans in Baltimore. Pool No. 2 measured just 100’ x 105’ (half the size of whites-only Pool No. 1), but proved so popular that the swimmers had to be admitted in shifts. In 1953, a young African American boy swimming with friends in the Patapsco River accidentally drowned. The tragedy revealed the difficult circumstances for many African Americans looking for a place to swim in Baltimore. The boy lived near Clifton Park but swam in a dangerous river due to his exclusion from the park’s whites-only pool. In response, the NAACP started a new push to make all of Baltimore's municipal pools open to all races. When the City Parks Board refused to desegregate, the NAACP filed a lawsuit and eventually won on appeal. On June 23, 1956, at the start of the summer season, Baltimore pools opened as desegregated facilities for the first time. Over 100 African Americans tested the waters in previously white-only Pool No. 1 but only a single white person swam in Pool. No. 2. Pool No. 2 closed the next year and remained largely abandoned up until 1999. 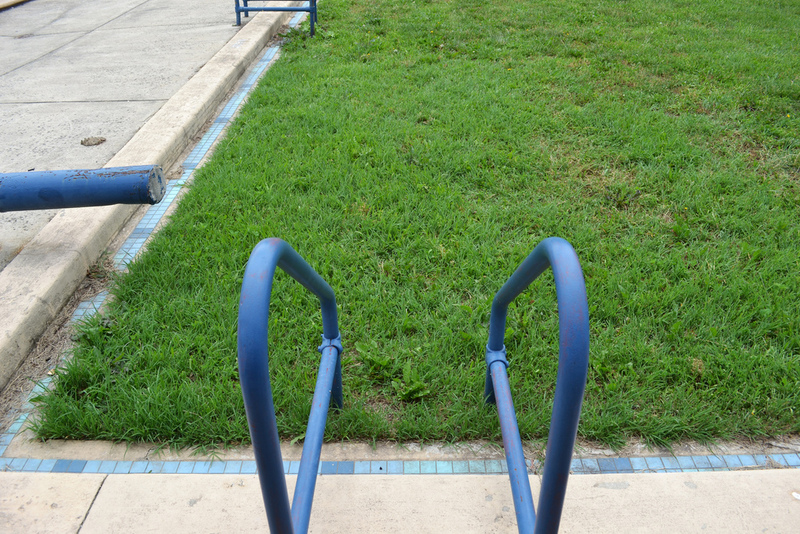 That year, Baltimore artist Joyce J. Scott won a commission to turn Pool No. 2 into a memorial. In creating her installation, Scott asked herself, “How do we make this area useful and beautiful, and harken back to the pool era?” The results combined architectural elements and aquatic symbolism with abstract, colorful painted designs on the pavement around the pool. The designs and interpretive signage have weathered in the years since but Pool No. 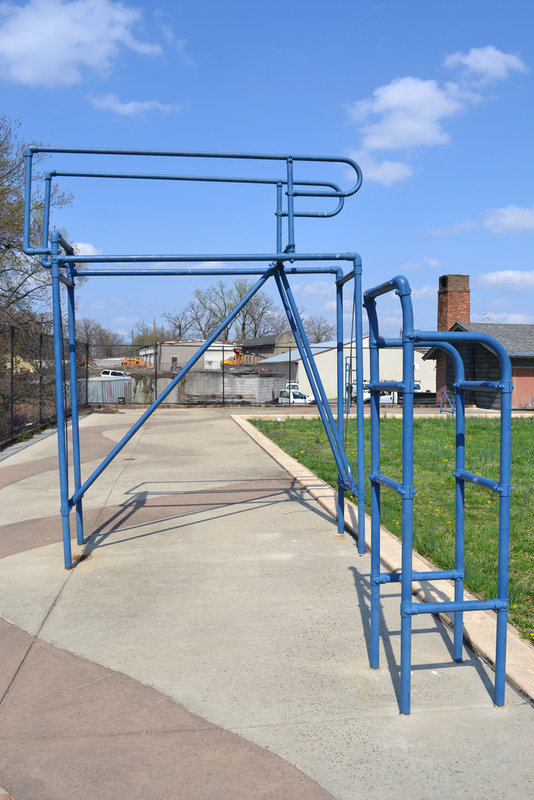 2 remained an important destination to explore the Civil Rights history of Druid Hill Park and Baltimore's pools. 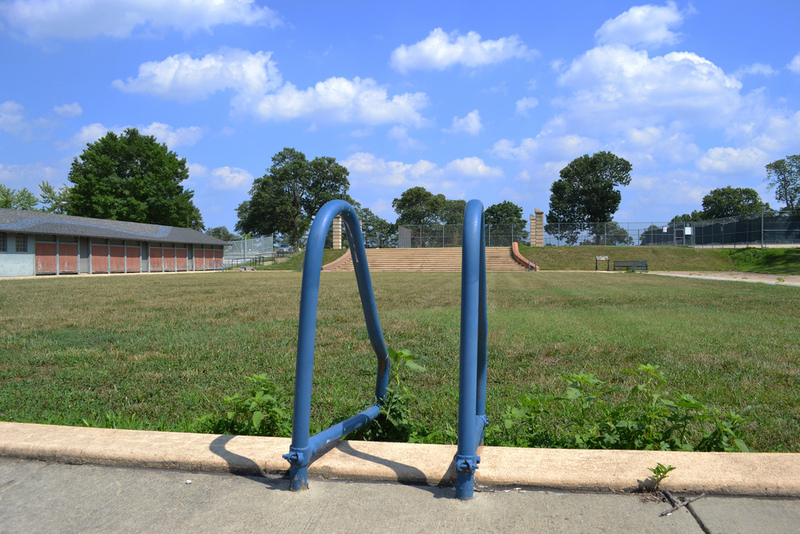 “Druid Hill Park Pool No. 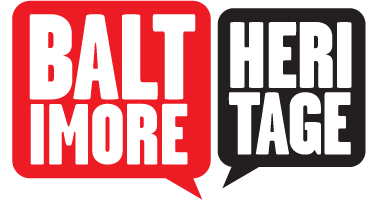 2,” Explore Baltimore Heritage, accessed April 19, 2019, https://explore.baltimoreheritage.org/items/show/500. "Struggle and Joy in the Druid Hill Park Memorial Pool," Graham Coreil-Allen, January 8, 2014. What Weekly. Published on Mar 28, 2015. Last updated on Nov 27, 2018.